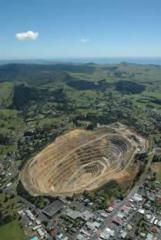 Can Waihi count many blessings from the mine on its doorstep? 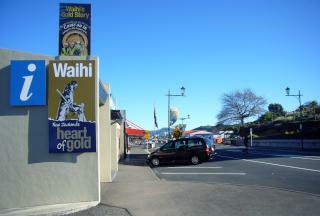 This is Part II of a two-part series of articles about mining in the Coromandel town of Waihi. Part I, On Shaky Ground, looked at how the current mining projects are affecting some of the town’s residents, and what the company and local authority are doing about it. 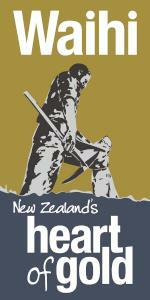 Part II investigates whether local communities, in particular, Waihi, benefit from having a mine in their midst. In the endless quest to close the wealth gap with Australia, mining is popping up more and more. Late last year, a report by the Institute of Professional Engineers, called Realising Our Hidden Treasure highlighted the Aussie lure, arguing that the big difference in the part played by mining in the two economies (10 percent of total exports here versus 48 percent there) could help explain the gap. New Zealand is rich in minerals and petroleum, the engineers said, citing among other as-yet-unextracted treasures 1,200 tonnes of gold. Unfortunately, the figure is more than a decade old, because the New Zealand government doesn’t release – or perhaps doesn’t know – what lies beneath. And the report doesn’t compare our reserves with those of Australia, which for gold alone are estimated to be around 7,400 tonnes. But despite prospect of all that untapped wealth, and the rising profile of mining under the current National Government, it isn’t clear New Zealanders are convinced. A Herald DigiPoll survey released in July showed 27 percent of the 750 people questioned supported more oil, gas and mineral exploration, 40 percent cautiously supported it and 30 percent were opposed. The Prime Minister, the mining lobby and the Herald on Sunday saw those results as providing support for the government’s push for expanding exploration, while the Greens took them as evidence of a public that was cautious. “The main reason why ozzies have a higher standard of living,” said one comment on a Herald on Sunday editorial, “is because they are prepared to dig valuable minerals out of the ground in remote areas. It hasn’t ruined Australia – it has made it rich.” That’s a sentiment frequently, often vehemently expressed on comment threads and, in less straightforward language, by the mining lobby. With the dazzle of Australia in our eyes, it seems mining has become synonymous in many minds with wealth and jobs – with Northland the latest community being told the answer to the “exodus to Oz” lies underground. Northland might be well advised to take a look at Waihi – where over the past 25 years, more than $4 billion worth of gold has been dug out from under its residents’ feet, yet where the community remains one of New Zealand’s most socio-economically deprived. As reported in the last issue of Werewolf, the company at work in Waihi is Newmont Waihi Gold (NWG), which has several operations in and around the town, including in the well-known Martha pit, just off the main street. On 19 June, it formally applied for consent for its most controversial project to date, called Correnso, which entails burrowing beneath homes and streets in the eastern part of town to get at an ore body of gold and silver worth around $1 billion. Newmont offers a swath of statistics that point to the economic benefits of its operations for both the town and the nation. Around 4,500 people live in Waihi, and Newmont says its mining operations directly provide some 400 jobs with at least twice that number created as a result of downstream economic activity. In addition, a 2009 social impact report commissioned by NWG estimated that mining activities accounted for about 25 percent of the town’s economy. And those figures and percentages would likely rise if and when Correnso gets under way. In its application for consent, NWG says the project will eventually mean around 279 jobs (with 650 downstream jobs) and economic benefits of around $300 million, 30 percent of which it says will be felt locally. Given all those millions of dollars and hundreds of jobs, why is Waihi still struggling to lift itself out of poverty? Professor Peter Crampton (pictured left), the Pro-Vice Chancellor of Health Sciences at Otago University, and one of the creators of the deprivation index, said it’s certainly true that the mining company makes infrastructure investments in the town, but that’s a separate issue from Waihi’s socio-economic development. “Clearly the local community has been in poverty for a long time and remains in relative poverty,” he said, “notwithstanding the fact that the mining company is contributing to the community in various ways”. 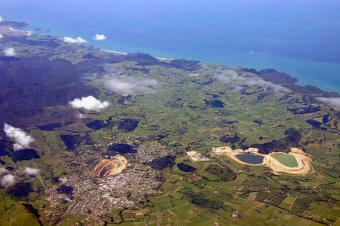 Whether or not the Deprivation Index is a good measure of the social health of Waihi – and Crampton is confident that it is – the town clearly lags in areas that one would think a gold mine might enhance. According to Statistics New Zealand, the median income in Waihi is $15,200 compared with $24,100 for the Waikato region and $24,400 nationally, and it is home to a higher than normal level of workers on sickness or invalid’s benefits. Likely affecting Waihi’s profile is that it is an ageing community, with 22 percent of its residents over 65 years compared with just 12 percent for the whole Waikato region. On the plus side, the 2009 social impact report noted the primary and high schools had made gains in student outcomes with several locals citing Newmont’s funding as a factor. Bertram is also highly critical of the research the government uses as the basis for mining policy, which he says comes primarily from the industry itself. As for jobs… mining, he argued in a 2010 study for Forest and Bird, is a particularly capital intensive (not labour intensive) industry. The investment might be high, but the part of that going toward workers is relatively low – less than 10 percent for mining compared with around 20 percent for the rest of the economy. Royalties have always been a controversial question, and are being looked at as part of the Government’s current review of the Crown Minerals Act. In a factsheet on tax and royalties, NWG says that some of the debate over the issue “has been presented in a way that suggests that royalties is the only revenue stream for the government from gold mining activities” adding that in the past six years it has paid an average of $5.7 million in company tax and $1.3 million in royalties. Last year, the company’s profit and taxes dropped well below those averages, and the same is expected this year. In 2011, NWG said it paid about $244,000 in taxes on revenues of $214.5 million and profit of $1.2 million. Its royalties for the year were around $782,000. In 2012, it will likely be due a tax refund, though royalties are paid whether the company makes a profit or not. According to figures supplied by the NWG, its 2011 profit was down by nearly $10 million compared with 2010 and by more than $45 million on 2009, a trend it attributes to operating costs that have been rising much faster than the price of gold. Feickert said the critical question was how such a fire could break out, what risk assessment had been done on that scenario and what prevention measures were in place – issues that the investigation will have to determine. The fire prompted the Engineering, Printing and Manufacturing Union (EPMU) to renew its calls for improved safety protections for underground miners. It has become a bit of a mantra that so long as we have robust safety, environmental and social protections – and some Waihi residents argue we don’t – mining can bring only benefits. As a result, the debate over whether or not to explore and mine too often lines up as a duel between environmentalists – or as the industry lobby group Straterra put it recently, “a vocal and persistent minority” – and people who care about jobs and growth. For its part, Straterra is confident of mining’s benefits. 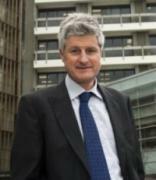 “What we can predict is that if a gold mine is established in the Far North,” CEO Chris Baker said in a statement, “substantive economic benefits would follow.” While opponents might argue the local economic spinoff is low, Baker said, “ ‘a reasonable estimate’ is that more than 80 percent of the annual expenditure would stay in New Zealand”. Mining already has advantages over other land uses when it comes to access – as the Environment Commissioner has noted, it’s much harder to gain access to conservation land for adventure tourism than for mining – and with the government’s enthusiasm for more exploration and extraction, it’s likely any project the industry wants to pursue will get the go-ahead. That’s almost certainly the case for Northland, which has gold deposits estimated at around 1.53 million ounces, as well as local authorities that are actively promoting the area to the mining industry. Mining critics are certain it’s also true of Waihi, where opponents of another of Newmont’s proposals – a project to explore under the Martha pit – will put their case to the Environment Court on 30 July.